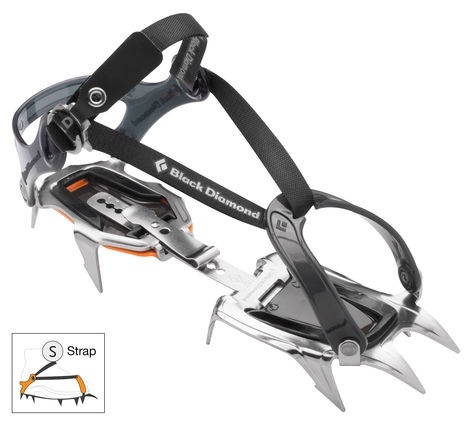 A lightweight full steel crampon for dependable use on all footwear from mountaineering boots and ski boots to lightweight backpacking boots. 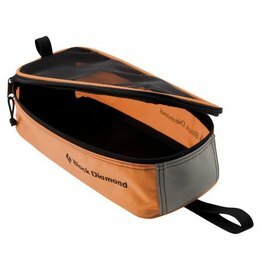 Your solution to carrying crampons with streamlined modern packs, summer packs, or travel duffels. 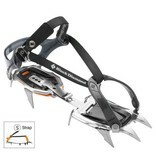 Never worry about errant crampon points spilling beer in your pack or putting holes in your down puffy again!